The author meets the auteur: Philip Kaufman and a dazed man in a borrowed hat. 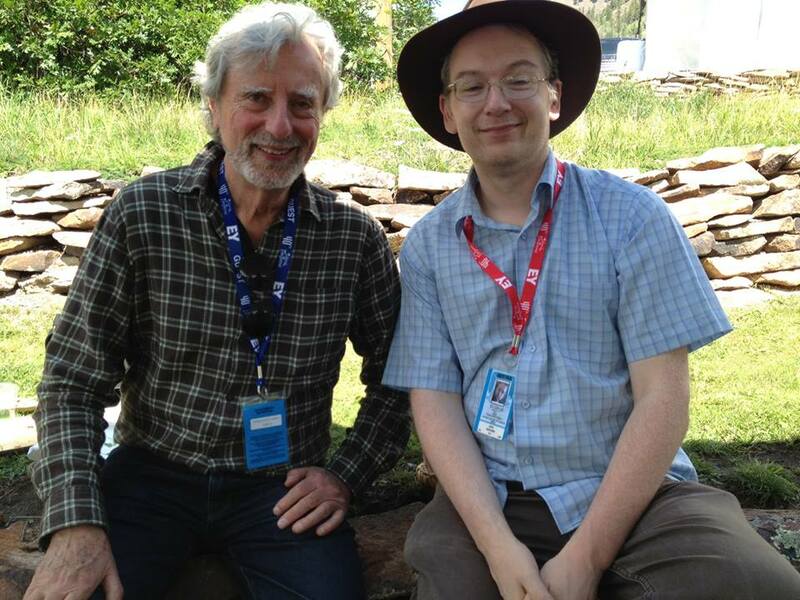 One of the results of meeting Philip Kaufman in Telluride (above) was the realization that, despite loving a number of his films (I have literally no idea how many times I saw THE RIGHT STUFF in the eighties, at the cinema and on VHS) there were big holes in my knowledge of his career. 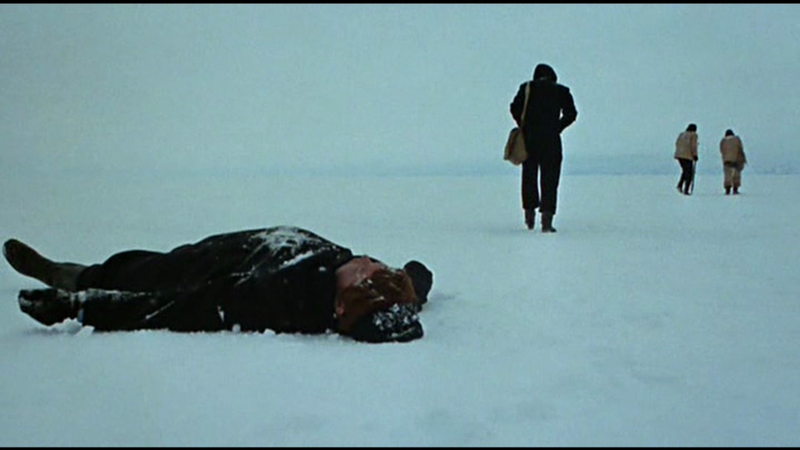 One movie he mentioned as being a little neglected was THE WHITE DAWN (1974), which I’d heard of but never seen. It proves to be an excellent film, and I’m not just saying that because Mr. Kaufman was so nice (if I didn’t like this one, I’d find something else to talk about). It’s really one of the best films about intercultural failure of communication, standing comparison with MERRY CHRISTMAS MR LAWRENCE, which it’s arguably better than because it doesn’t have David Bowie in a school uniform. Instead it has Timothy Bottoms, Warren Oates and Louis Gossett, Jnr, a near-unbeatable trio of axioms of 1970s American cinema, acting against a genuine selection of non-professional actors gathered from a single Inuit tribe. The story, based on James Houston’s novel in turn based on true incidents, deals with three whalers stranded in the arctic who are taken in by an Inuit tribe. The initially friendly approach of the natives ultimately takes a tragic turn as the interlopers fail to fit in, contribute, or understand the people they’ve become dependent on. 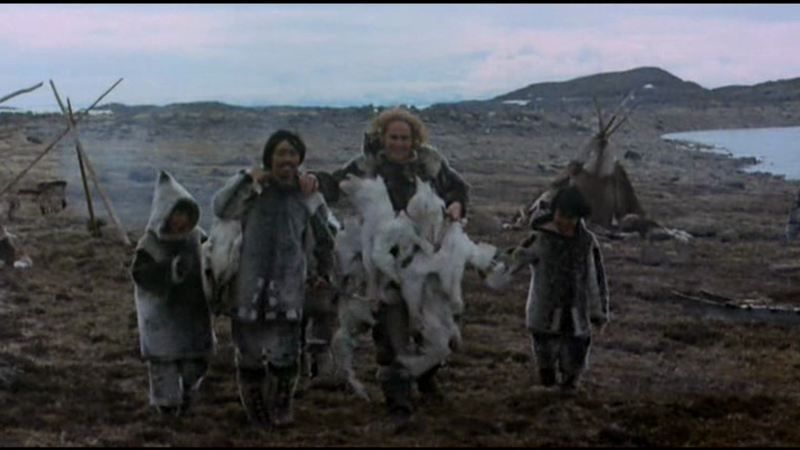 While the reliably surly Oates is an obvious walking trouble-spot, Bottoms and Gossett’s response to the apparent free love offered by the community also seems likely to cause problems, with the sensitive young Bottoms becoming enamoured and possessive of one young woman (Pilitak). The blend of languages and acting styles works remarkably well. “The trouble with non-professionals is they’re not professional enough. And the trouble with professionals is they’re too professional.” ~ Milos Forman. “When you put a non-professional and a professional together the effect is immediately to show up the artificiality of the professional.” ~ Alexander Mackendrick. 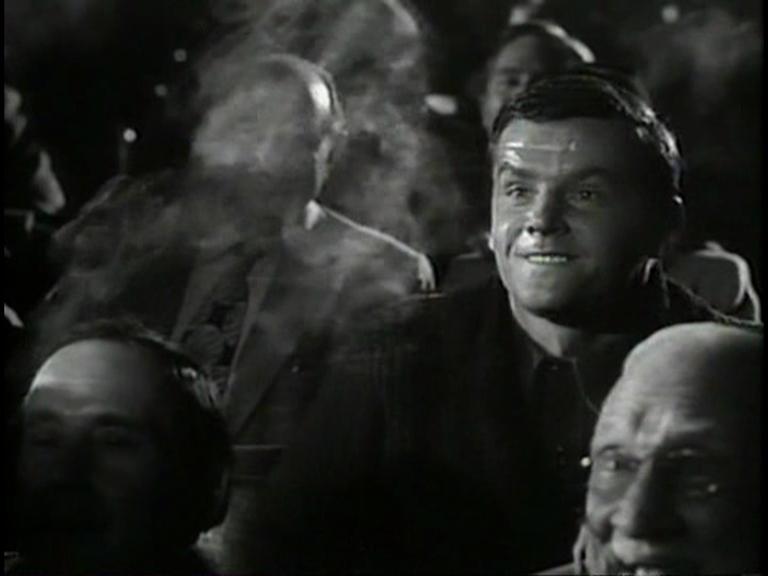 And the movie manages to create sympathy for both sides — its theme has never been more timely, and it’s regrettable that the movie isn’t easier to see (according to its director, no good 35mm print of this handsome film, shot by Michael Chapman, exists anywhere in the world). If everyone saw it and absorbed its theme, it could actually save us. I have THE GREAT MINNESOTA NORTHFIELD RAID lined up next.